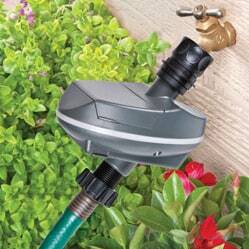 We will connect the irrigation grid to your spigot using a Y connector so you can still use your hose. We will also attach an adjustable automatic timer and pressure reducer, so you can easily change the irrigation time through the season. 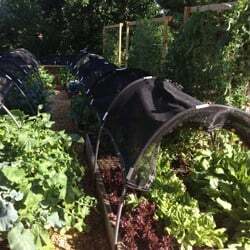 Drip irrigation system that comes into the bottom of the bed and blankets the top of the soil with over 125 emitters to ensure evenly moist soil for high germination. 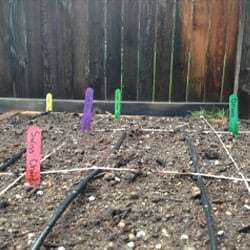 The drip line is invisible going into the garden but visible on the surface of the soil. Easily removable protective cover for hail and shade. It can be left on all summer, or easily removed. These covers are great for locations with full sun or high heat because the material shades 20% of the sunlight. Extends the growing season four weeks in the spring and eight weeks in the fall. 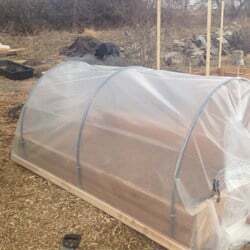 Cold frames are great for extending the season for cold crops (leafy green and root crops), allowing you to harvest vegetables well into December! 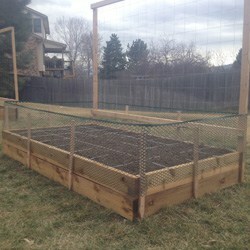 Trellises are great for climbing crops such as tomatoes, beans, peas, and cucumbers. 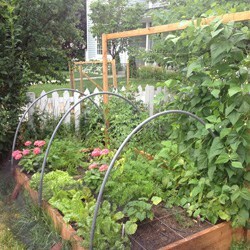 The trellises are more space efficient, keeping these crops from sprawling all over your garden. Our trellises are 4’ wide and about 6’ tall. The best part of the trellises are when beans or a tomato are hanging 5’ above the ground, ready to be grabbed and picked. An aesthetic black plastic fence that surrounds your garden, allowing you to still reach into the garden but preventing rabbits from jumping in to eat your crops. 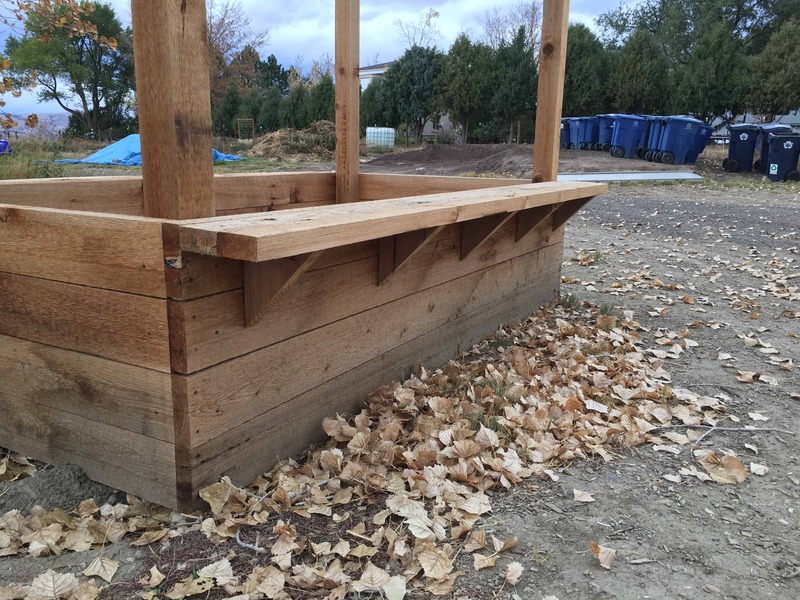 Back-saving bench on long sides of garden bed for sitting and easier gardening. 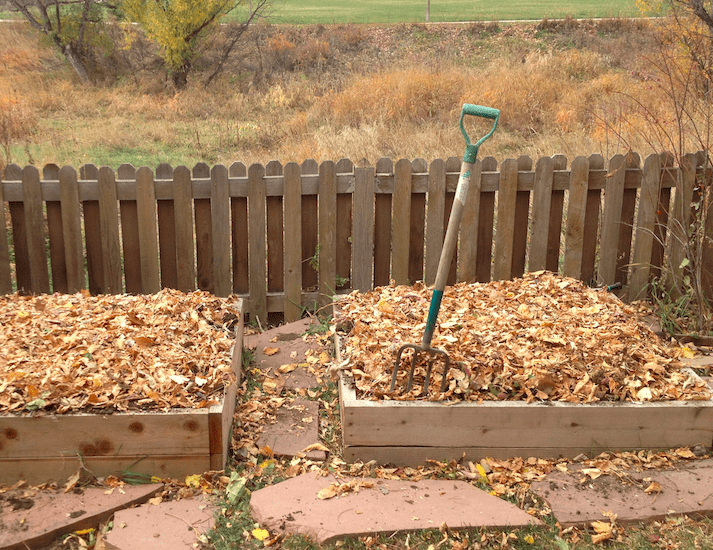 End of season garden clean-up, soil amendment, and mulching so your garden is ready for the spring.